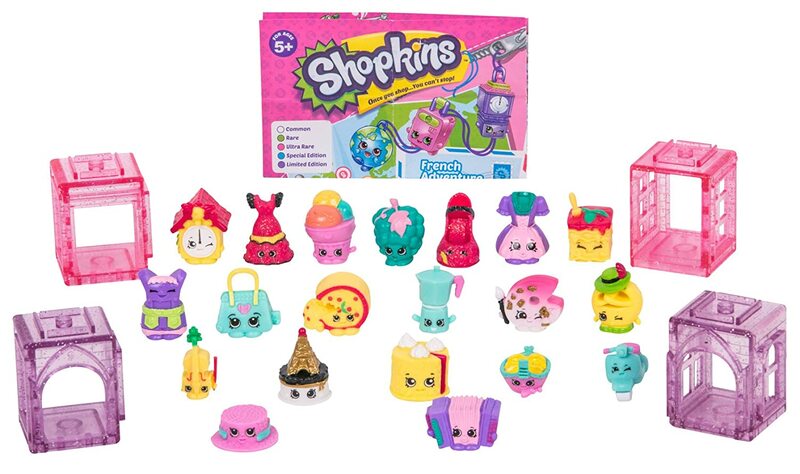 Tiffany's Online Finds and Deals: Shopkins World Vacation (Europe) -Mega Pack ONLY $3.39! Shopkins World Vacation (Europe) -Mega Pack ONLY $3.39! Grab the Shopkins World Vacation (Europe) -Mega Pack for ONLY $3.39 with Amazon Prime during their deal of the day special! These will probably go fast. Great cheap gift or stocking stuffer! First stop in the Shopkins World Vacation: Europe! Collect Shopkins from teams like German Jet Set, Italian Tour, Spanish Stopover and UK Holiday in this Mega Pack of Shopkins • Each 20 pack come with 4 single rooms that you can connect together and build up a little city for you to display your Shopkins! You can use the Special Edition Bag Charm Shopkins to decorate your luggage on your next vacation! Look out for the Limited Edition Shimmering Snow Globes!